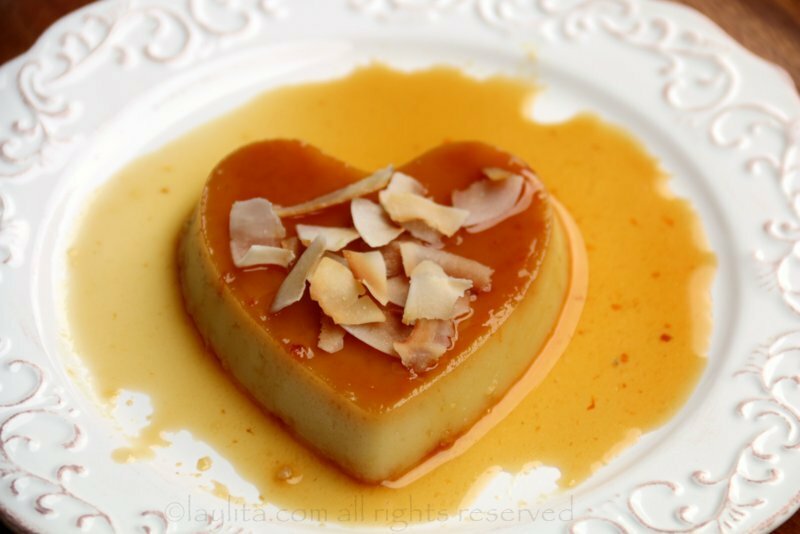 This is my recipe for homemade coconut flan, a Latin style coconut custard dessert. Flan is one of those easy desserts that everyone (or almost everyone) loves. 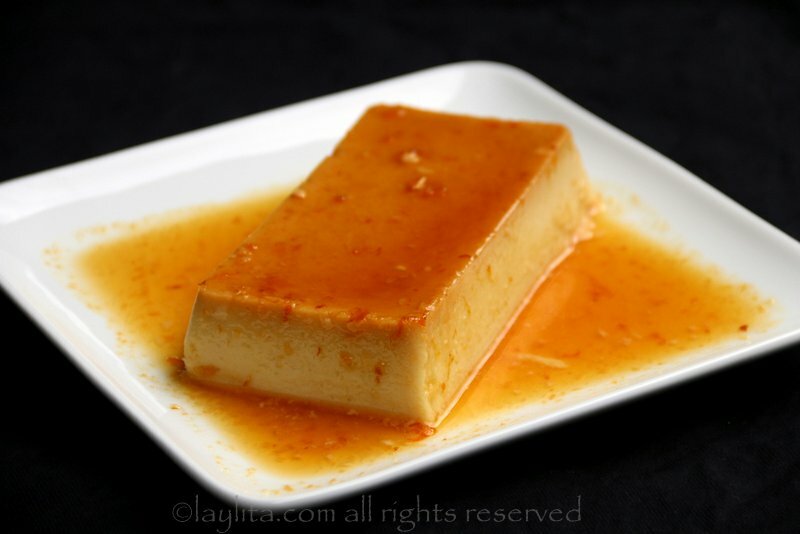 This flan de coco or coconut flan has an orange caramel, as well as grated orange zest in it, which gives it a great citrusy taste that goes great with the coconut. My husband loves flans, and when I met him he made one of the most basic flans ever by blending eggs, sugar and milk. I was shocked to see that he baked it in a baking pan without using a water bath. I was so sure there was no way that it was going to work, but it did. Even though I found his super quick guy-flan very egg-ey it was still edible. I was somewhat impressed that he knew how make it, even though I didn’t consider it a real flan since it lacked caramel, and yes he ended up eating most of it. 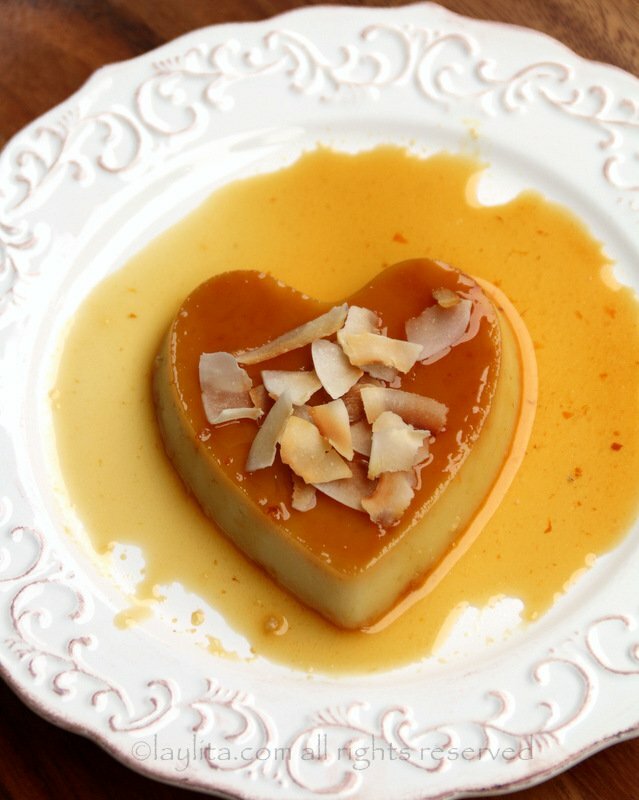 Recipe for homemade coconut flan with orange caramel. This coconut flan is made with grated coconut, coconut milk, eggs, milk, and sugar, and has an orange caramel. Combine water, orange juice and 1 cup sugar in a saucepan over medium high heat to make caramel. Bring to a boil and cook until the caramel starts to turn a light brown honey color, be careful as it can burn very quickly. It takes about 7-9 minutes to get to the point where you start to see the caramelization start, don’t stir the caramel mix as it cooks, just let it boil until it starts to darken. Because this caramel sauce has orange, it won’t get as dark as the regular caramel. Quickly and carefully pour the caramel into ramekins or flan molds. and bake for 40-50 minutes – or until the flan has set. 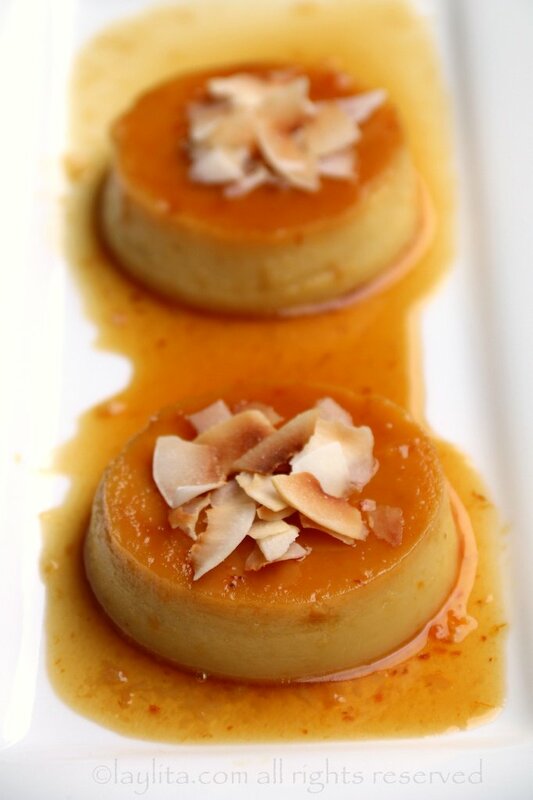 Cool down and refrigerate the coconut flan for a couple of hours before serving. To remove from the molds, bring the flans to room temperature. Use a knife to help loosen the edges, and place it upside down on the serving plate. Garnish with berries and/or toasted coconut. 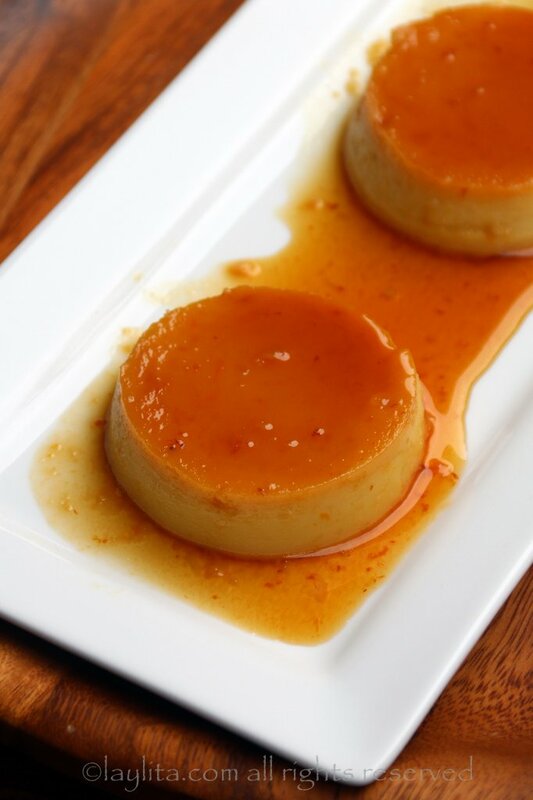 Personally, I have to have caramel with my flan – it’s the best part! 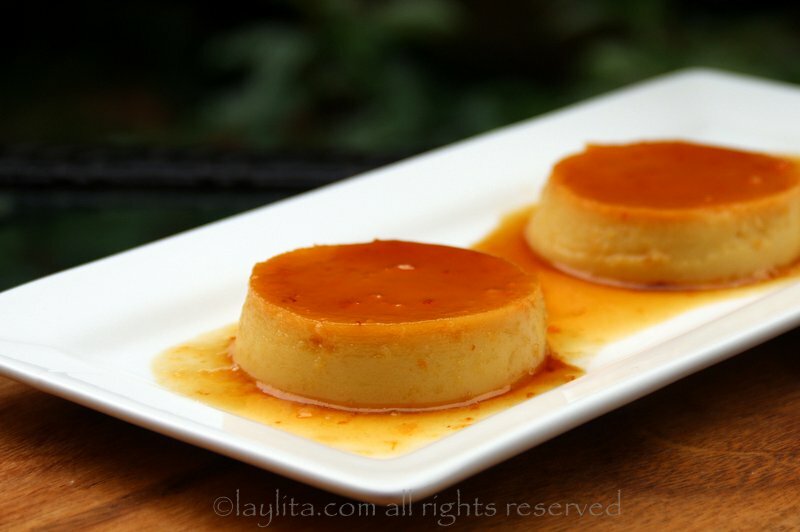 I love a classic traditional flan, but also really enjoy making different variations, from this coconut flan to pineapple flan, passion fruit flan, candied pumpkin flan, and more. It’s very easy to use your favorite fruit or a seasonal fruit to give your flan a delicious touch. I love coconuts and have had some of best coconut flans made with fresh coconut in coastal towns in Ecuador. I tried making this recipe with fresh coconut in the US and was disappointed that the quality of fresh coconuts was so bad. I found that my favorite Asian grocery store carries very good frozen grated coconut, which turned out to be better than buying and grating a fresh coconut. Of course, in Ecuador, or any country with access to fresh local coconuts, I would recommend using those. You can make this coconut flan using small individual ramekins or you can also make it in a large pan for all to share. I served it with some fresh berries and some toasted coconut flakes. Thank you for posting this delicious recipe :). My question is about the size of the ramekins that I see on your pictures is that 6 oz or 8 oz? Because I’m planning on buying some but I would like to know the size and how many I would need. Thank you in advance! Hi Jana – The rounds one are 6 oz. Can you suggest a specific type of grated coconut? I normally buy the fine grated, but have found that it is sometimes too fine for a recipe that suggests just grated. This looks delicious. Can’t wait to try it. 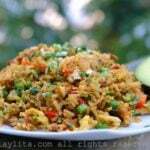 Hi Maria – I like using frozen grated coconut, just let it defrost and it’s the closest to fresh grated coconut. They sell frozen grated coconut at both Latin and Asian grocery stores. Is the sugar that is used to make the caramel sauce the 1 cup or the 3/4 cup? The 1 cup (just added clarification to the recipe also). 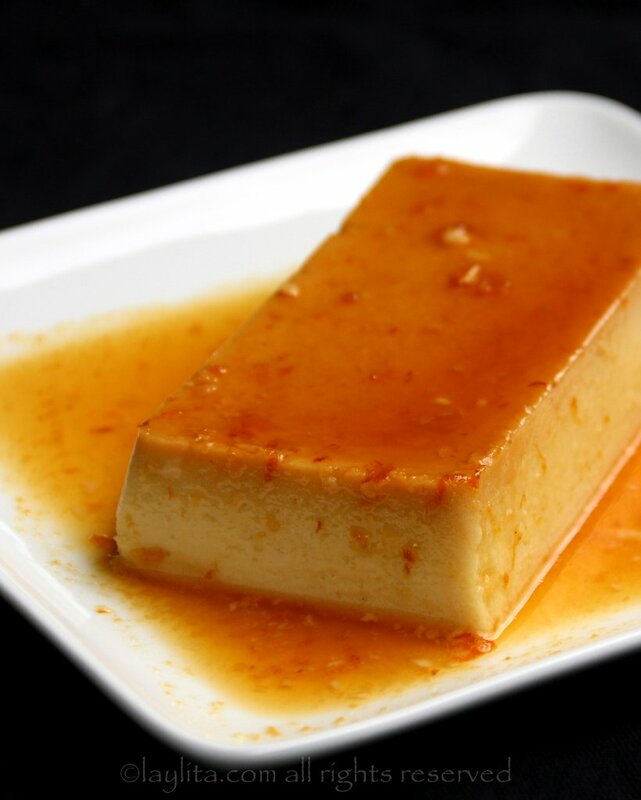 Flan originated in Spain, the coconut variations are popular in most Latin American areas that have coconuts (Caribbean, Central America, South America). I was just wondering why you have not posted your wonderful amazing recipes since January 2010? 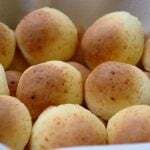 I hope that you would continue to post these amazing recipes and pictures because you are truly an inspiration for me and my family to get together and start cooking in the kitchen. I truly hope that you can post again soon. i love this recipe so much that im going to make for a project in my spanish class,For half my grade . i Hope that it is as tasty as it looks.